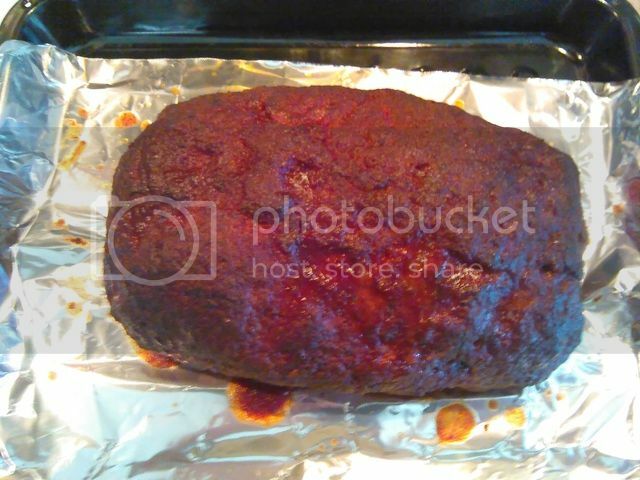 Cooked a smoked meatloaf this weekend. Love this recipe! Topped with BBQ sauce. 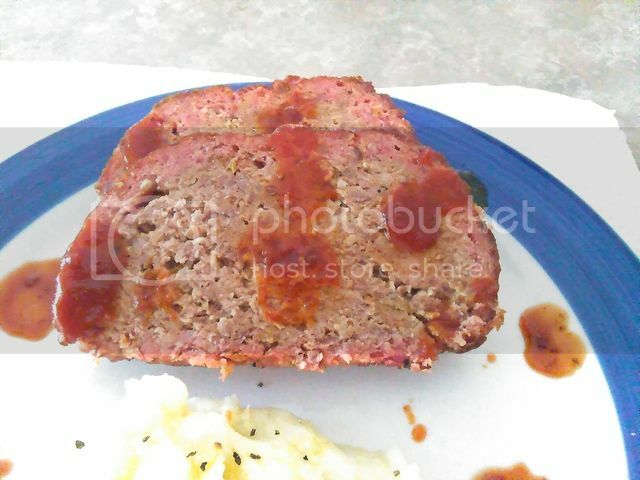 Not sure I can eat a regular meatloaf again. Ok, I gotta do this! I was given a cast iron loaf pan. Wonder how that would work in the smoker? bsooner75 wrote: That looks good. Never put a cast iron pan in the smoker but I've cooked a lot of cornbread in my dutch oven which gets about the same temp. I use a pie pan to form the meatloaf. May experiment. I will report back if I do. Inspired by this I smoked my first meatloaf. Opted not to do the cast iron. OMG - I may never eat a meatloaf out of the oven again. Sucklebusters honey makes a heck of a glaze for it. I hear ya. Like BluDawg says it's a life changer. The leftovers are even better. How do I pen the recipe? We don't eat meatloaf very often, but I think I'll smoke the next one. Sounds good. samschertz wrote: How do I pen the recipe? In a skillet add 2 tablespoons of butter, garlic, onions and bell peppers and sauté until tender. Remove from skilled and let cool. In a large mixing bowl mix ground chuck, ground sausage, slightly beaten eggs, bread crumbs, chopped parsley, AP rub, half the barbecue sauce and cooled onions together and mix until combined. Do not over work the meat as it will make it tough. Place mixture into greased pie pan, cover with plastic wrap and place in fridge for 2 hours or up to overnight to firm it up. Turn over pie pan and place meatloaf on foiled rack and set in smoker. When internal temp is at 145, brush on remaining barbecue sauce to the top and sides of meatloaf. Let cook until sauce has set and internal temperature is at 160. Remove from smoker and let rest for 20 minutes. Slice & serve.